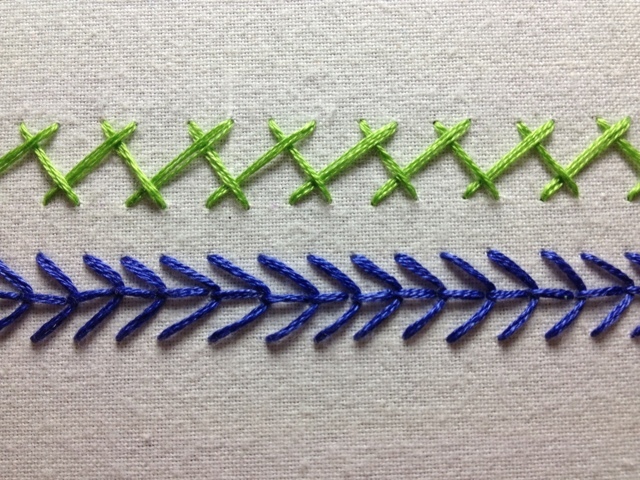 I drew two (sorta) parallel lines and followed this tutorial. Here it is after the lines disappeared. 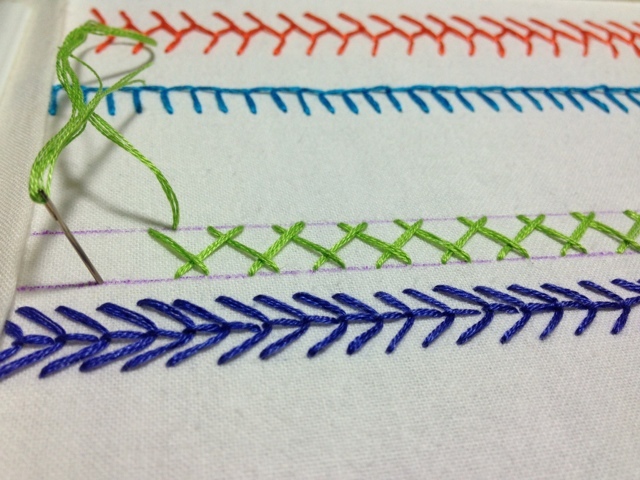 It looks alright to me, but I think I need to practice this stitch a little more. Next to the herringbone is the TAST Stitch #1 - Fly Stitch. 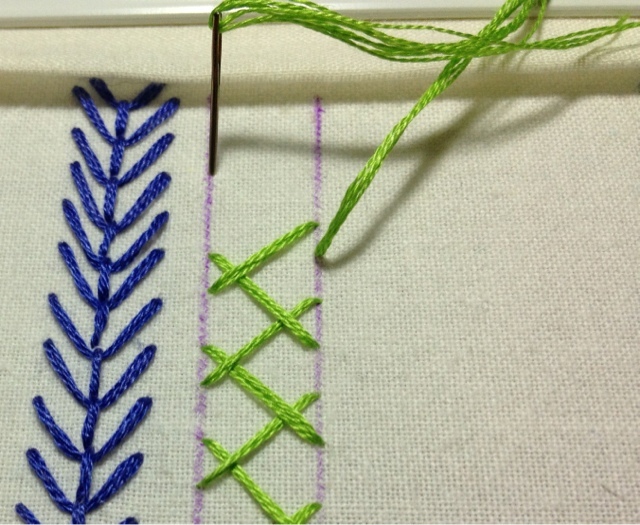 Here is my sampler so far of the stitches, with the exception of the cretan stitch which is not shown. 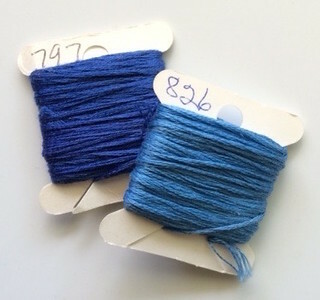 If you want a great website for stitch tutorials, check out Sarah's Hand Embroidery Tutorials. Isn't TAST fun? So much to learn and share. Thank you for the link to Sarah's tutorial.